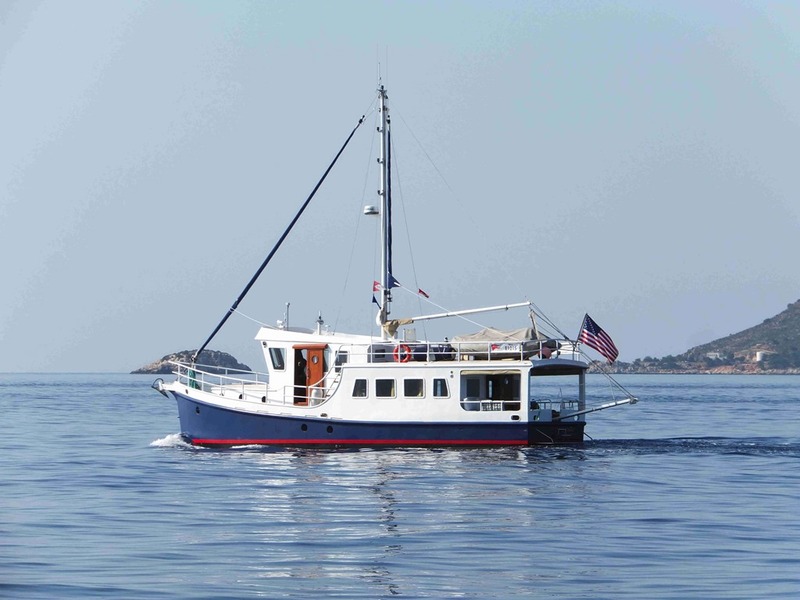 Home of Diesel Duck Trawler LeeZe ~ LeeZe For Sale! I have always dreamed about owning my own boat and sailing it to places I never got to see when I served in the Navy. After retiring from the Navy as both an engineer and a deck officer, I met and married Zehra, told her about the dream and it became her dream also. 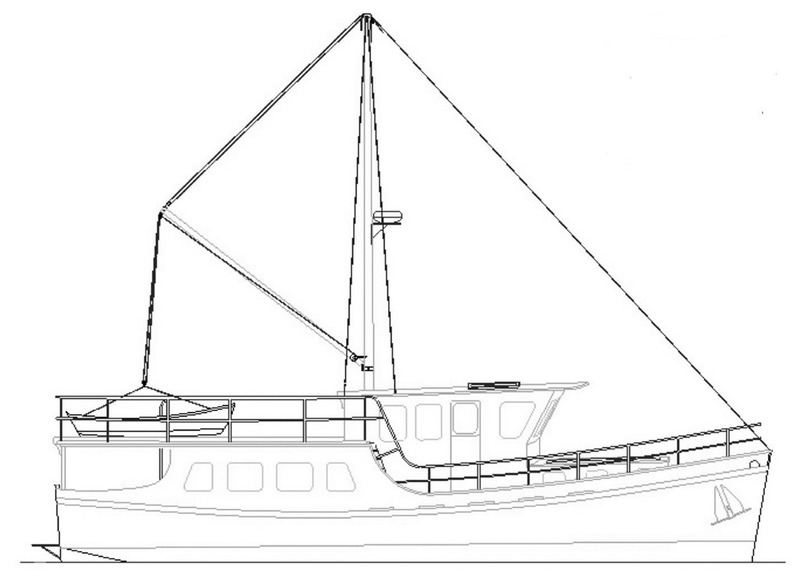 Before building this Diesel Duck trawler LeeZe, we had walked through many over 7-10 years and talked about what we saw and liked. 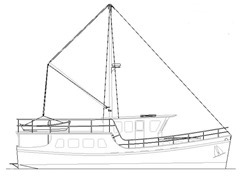 From that discussion came this Lloyds ocean crossing rated, single engine, raised pilothouse trawler with the saloon and galley up behind the pilothouse, two staterooms, head, and engine room down below. We found a custom boat builder in Turkey and contracted him to build it. We named her “LeeZe” which is a combination of our names, Lee, and Zehra. 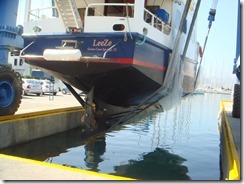 Launched in July 2011, and outfitted during the weeks after launch, we finally had our boat. In 2012, we participated in the East Med Yacht Rally, boating from Cesme to Mersin Turkey, with a detour to Girne and Karpaz Gate in Northern Cyprus. What skills we didn’t have when we started (and there were many) we developed along the way. 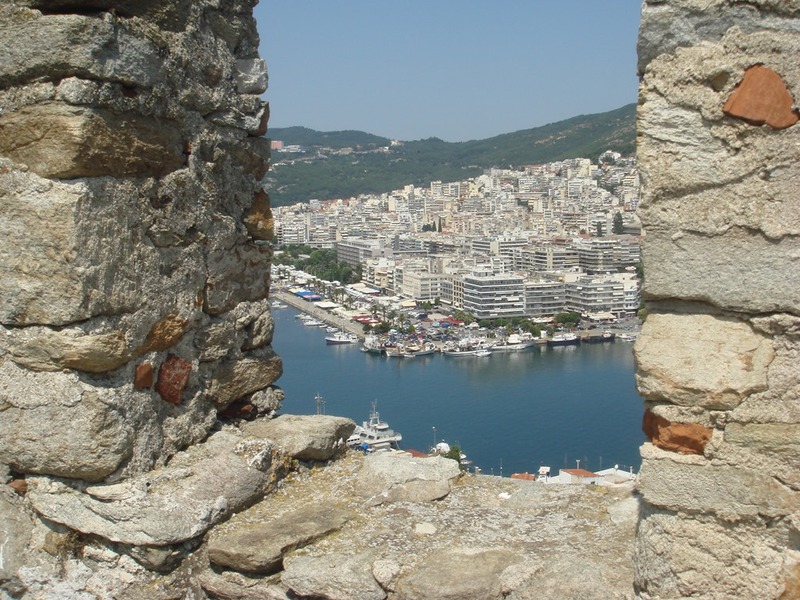 In the years between then and now, we have visited nearly all of the Turkish coastline, many Greek islands, and some of Greece’s mainland. We have had a ball. If you read the blog, you will note that at times, we also had challenges. We faced these head on and while the blog may make them sound catastrophic, they weren’t and we resolved them all. At no point did this boat ever let us down requiring us to be rescued. 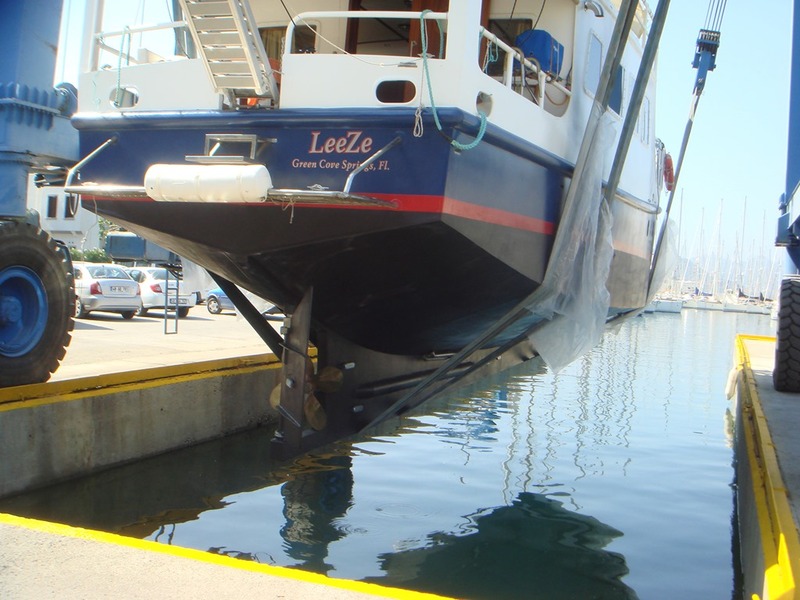 Along the way, I learned and relearned that preventative maintenance can avert a host of problems at sea. I also learned that if I carried the spare part, I could probably fix nearly anything. We have cruised wondrous cruising grounds, from Gocek Bay in Turkey to many of the coves and outlets of the Greek islands. 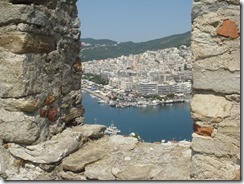 We have anchored in bays and offshore cities where history was made during the world wars. We have been to harbors where one could see how the Romans built it all those centuries ago and now in use by us, current boaters. It has been a wonderful cruising experiencing. My mother-in-law needs some extended care which makes it all but impossible to cruise at this time. We believe this will last a while so it is time to close this chapter and put our boat up for sale. 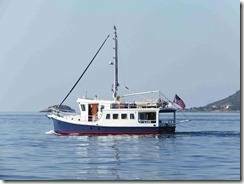 Therefore, this boat, our “LeeZe,” is for sale for the right price. We know that whoever takes possession of her will reap the benefits of our decisions made when building her to try to keep her simple to own, simple to maintain, and reliable to cruise anywhere, anytime. If you chose to buy her, you have the option of letting us help you get acclimated to her. There is no need for you to learn on your own what we learned through trial and error. We will always be available to answer questions, and if not too far away, lend a helping hand. We are always available to answer your questions, both now, while you consider her, and after, when you start cruising her.